Jenson (J.T.) Brooksby reached his first semifinal in a professional tournament today. The 18-year-old amateur and wild card from Carmichael in the Sacramento area beat unseeded American Nick Chappell 6-2, 6-4 in the $25,000 Waco (Texas) Futures. 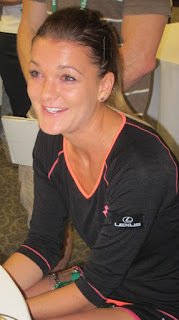 Chappell, 26, starred at Texas Christian, and Brooksby plans to play at the Fort Worth school. Brooksby, who won the USTA boys 18 national championship in August, is scheduled to face unseeded Maxime Cressy of France on Friday. Cressy, a 6-foot-7 (2.01-meter) senior at UCLA, topped former Bruins teammate Martin Redlicki, seeded seventh, 6-4, 6-4. The 6-foot-1 (1.85-meter) Brooksby ousted Redlicki's 6-foot-8 (2.03-meter) brother, top-seeded Michael, in the second round. Eddie Herr -- Top-seeded Rudy Quan of Roseville in the Sacramento region breezed past eighth-seeded Thomas Faurel of Aliso Viejo in Southern California 6-2, 6-1 in the boys 12 quarterfinals at the Eddie Herr International Junior Championship in Bradenton, Fla.
Quan, ranked first nationally in the 12s, has lost only seven games in his four tournament matches. He is the last remaining Northern Californian in singles in any age group. Two San Jose players lost in the third round. Unseeded Hugo Hashimoto fell to Arda Azkara of Turkey 7-5, 0-6, 6-2 in the boys 16s. Seventh-seeded Vivian Ovrootsky, who won the 14s last year, bowed out to 11th-seeded Abigail Rencheli of Sarasota, Fla., 6-4, 6-3. Second-seeded Jack Anthrop of Orlando, Fla., and Max Fardanesh of Albany in the San Francisco Bay Area moved into the boys 16 doubles semifinals with sixth-seeded Hashimoto and Benjamin Kittay of Potomac, Md. The teams could meet in the final. Top-seeded Quan and Andrew Rundle of Simpsonville, S.C., advanced to the boys 12 doubles quarterfinals. Top-seeded Aryan Chaudhary of Santa Clara beat 16th-seeded Quinn Vandecasteele of Murray, Utah, 6-3, 6-2 today to win the boys 16 singles title in the USTA National Indoor Championships in Wayland, Mass. Chaudhary, ranked fourth nationally in the 16s, survived a harrowing trek to the title. He won three consecutive three-setters, including 7-6 (3) in the third set in the quarterfinals, to reach the final. In the boys 14 singles final in Chicago, eighth-seeded Evan Wen of Morristown, N.J., dominated unseeded Herrick Thomas Legaspi of Sacramento 6-2, 6-2. 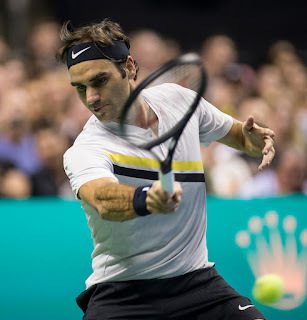 Wen encountered little resistance in the tournament, except in his 7-5, 7-6 (5) semifinal victory over sixth-seeded Sebastian Gorzny of Irvine in the Los Angeles area. No Northern California boys or girls played in a doubles final in the 18s, 16s, 14s or 12s at various sites. Top-seeded Aryan Chaudhary and unseeded Herrick Thomas Legaspi will play for singles titles in their age groups in the USTA National Indoor Championships. Chaudhary, from Santa Clara, beat unseeded Liam Krall of Bronxville, N.Y., 7-6 (5), 4-6, 6-2 in the boys 16s in Wayland, Mass. Chaudhary, ranked fourth nationally in the 16s, is scheduled to play 16th-seeded Quinn Vandecasteele of Murray, Utah, on Monday. Vandecasteele surprised fifth-seeded Thomas Paulsell of Seattle 4-6, 6-3, 6-1. Legaspi, from Sacramento, ousted second-seeded Grant Lothringer of The Woodlands, Texas, 6-2, 6-2 in the boys 14s in Chicago. Legaspi will face eighth-seeded Evan Wen of Morristown, N.J. Wen topped sixth-seeded Sebastian Gorzny of Irvine in the Los Angeles area 7-5, 7-6 (5). Two Northern California boys will play in the semifinals of their age groups in the USTA National Indoor Championships on Sunday. Aryan Chaudhary, seeded first in the boys 16s in Wayland, Mass., and Herrick Thomas Legaspi, unseeded in the boys 14s in Chicago, each won two matches today. Chaudhary, ranked fourth nationally in the 16s, beat Gavin Young of Apple Valley, Minn., 2-6, 6-4, 6-1 and Baylor Sai of Nashville, Tenn., 6-3, 2-6, 7-6 (3). Both Young and Sai were unseeded. Chaudhary will face unseeded Liam Krall, a Bronxville, N.Y., resident who ousted eighth-seeded Saiprakash Goli of Mason, Ohio, 4-6, 6-2, 6-2 in the quarterfinals. Legaspi eliminated unseeded Dylan Charlap of Palos Verdes Estates in the Los Angeles area 6-0, 7-5 and seventh-seeded Ritesh Patil of Katy, Texas, 7-5, 6-7 (5), 6-4. Legaspi will take on second-seeded Grant Lothringer of The Woodlands, Texas. Lothringer topped unseeded Alex Cairo of Dallas 6-3, 4-6, 6-1. In the girls 18s in Memphis, Tenn., seventh-seeded Ashley Yeah of Los Gatos in the San Francisco Bay Area beat 14th-seeded Carly Briggs of Calhoun, Ga., 6-3, 6-1 in the round of 16 but lost to top-seeded Andrea Cerdan of Bloomfield, N.J., 6-3, 6-7 (8), 6-4 in the quarters. --Seventh-seeded Ryder Jackson of Nicasio, 13th-seeded Zachery Lim of Fairfield and unseeded Stevie Gould of Corte Madera in the boys 18s in Overland Park, Kan.
--Eleventh-seeded Mason Nguyen of El Dorado Hills in the boys 12s in Flushing, N.Y. Even though he's only 21, Alexander Zverev has long been touted as a future Grand Slam champion. The 6-foot-6 (1.98-meter) German reached his first major quarterfinal this year and could go further in 2019, perhaps all the way. One day after beating second-seeded Roger Federer in straight sets, the third-seeded Zverev shocked top seed and five-time champion Novak Djokovic 6-4, 6-3 today to win the Nitto ATP Finals in London. Zverev, who began working with International Tennis Hall of Famer Ivan Lendl in August in an effort to improve his Grand Slam results, became the youngest ATP Finals champion since Djokovic 10 years ago at 21. Zverev also became the first player to defeat Djokovic and Federer in the tournament, and the first to beat the top two seeds in the semifinals and final of the event since Andre Agassi in 1990. "This is the biggest title of my career so far," Zverev, who had lost to Djokovic 6-4, 6-1 on Wednesday in a round-robin match, told reporters. "This trophy means a lot, everything, to all the players. I mean, you only have so many chances of winning it. You play against the best players only. How I played today, how I won it, for me it's just amazing." Djokovic, who had won 35 of his previous 37 matches, was trying to tie Federer's record of six ATP Finals titles. "(Zverev) had big serves. I wasn't returning well," said Djokovic, who returned to No. 1 this month after undergoing right elbow surgery in February. "I wasn't making him move too much. I was making way too many unforced errors. "From 4-4 in the first set, my game fell apart. But if we put things in perspective, it has been an amazing year and a great comeback." Zverev pocketed $2,509,000, and Djokovic collected $1,432,000. ATP Finals doubles -- Since pairing for the first time in June, Mike Bryan and Jack Sock have won three titles. And we're not talking Umag, Winston-Salem and Chengdu. We're talking Wimbledon, the U.S. Open and the Nitto ATP Finals. Bryan (Stanford, 2017-18) and Sock of the United States completed a dream half-season with a 5-7, 6-1 [13-11] victory over Frenchmen Pierre-Hugues Herbert and Nicolas Mahut in the title match of the ATP Finals. Bryan and Sock, seeded fifth, saved a championship point at 10-11 in the match tiebreaker and converted their sixth championship point when Herbert double-faulted. Herbert and Mahut, the eighth seeds and this year's French Open champions, had routed Bryan and Sock 6-2, 6-2 in 53 minutes on Friday in round-robin play. Bryan, 40, became the oldest champion in the history of the ATP Finals and the sixth player to win the title with at least two partners. 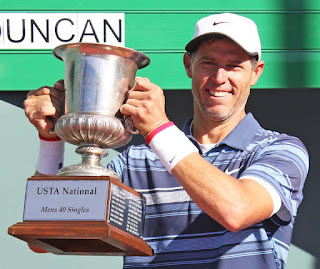 It was the fifth crown in the tournament for Bryan, who won the others with twin Bob Bryan, and first for Sock, the singles champion in the $100,000 Tiburon (Calif.) Challenger in 2012 and the doubles runner-up in the $100,000 Sacramento Challenger in 2011 with countryman Nicholas Monroe. Bob, who's recovering from August hip surgery, and Mike plan to reunite next year. They have won a record 16 Grand Slam men's doubles titles together but none since the 2014 U.S. Open. "I've had a magical partnership with Jack, but his No. 1 focus has always been singles," Mike said in a New York Times story published Tuesday. "He knows he was just filling in until Bob comes back." Mike Bryan and Sock became the first team to win Wimbledon and the U.S. Open in the same season since Jonas Bjorkman of Sweden and Todd Woodbridge of Australia in 2003. Herbert and Mahut were bidding to become the first French team to win the ATP Finals since Michael Llodra and Fabrice Santoro in 2005. Bryan and Sock shared $479,000; Herbert and Mahut split $279,00. ATP Challenger Tour -- Second-seeded Bradley Klahn, a 28-year-old Stanford graduate, beat wild card Roy Smith, a sophomore at Baylor University in Waco, Texas, 7-6 (4), 7-6 (4) in a matchup of American left-handers to win the $150,000 Oracle Challenger Series -- Houston. The match was moved indoors because of rain. Klahn won his seventh Challenger singles title, his second this year and the biggest of his career. He rose 20 places to No. 77, 14 spots below his career high in 2014. Klahn underwent his second operation for a herniated disc in his back in 2015. Alexander Zverev, shown in 2016, said he was "really upset"
For the second time in less than three months, a young player was booed after defeating an icon in a big tournament. Third-seeded Alexander Zverev toppled second-seeded Roger Federer 7-5, 7-6 (5) today to reach the final of the Nitto ATP Finals in London. Zverev, a 21-year-old German, halted play after hitting a second serve at 4-4 in the tiebreaker when a ballboy accidentally dropped a ball during the point. According to the rules, the point must be replayed. With another first serve, the 6-foot-6 (1.98-meter) Zverev fired an ace. The pro-Federer crowd at O2 Arena thought Zverev, the son of the former Soviet pro with the same name, was using gamesmanship. "I was a little bit sad at the end with the booing and reaction of the crowd," Zverev, the first German since Boris Becker in 1996 to reach the title match of the ATP Finals, told reporters. "I was very emotional afterwards. The booing went into cheering kind of afterwards, which kind of helped me. "I was really upset afterwards in the locker room -- I'm not going to lie. I had to take a few minutes for myself." Federer, who made his Northern California debut in a March exhibition in San Jose, supported Zverev afterward. "It's unfortunate that this happened," said the 37-year-old Federer, who fell to 3-3 against Zverev. "Sascha doesn't deserve it." 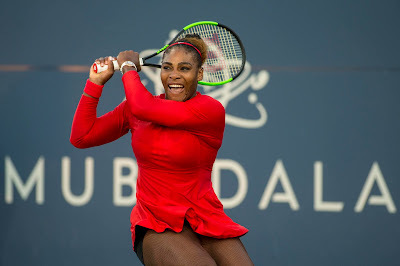 The controversy was reminiscent of the U.S. Open final in September, when the crowd booed 20-year-old winner Naomi Osaka during the award ceremony after Serena Williams had been assessed a game penalty for her third code violation. Zverev is scheduled to face top-seeded Novak Djokovic on Sunday not before 10 a.m. PST (ESPN2). Djokovic, seeking his sixth crown in the tournament, dismissed fourth-seeded Kevin Anderson 6-2, 6-2 to improve to 35-2 since the start of Wimbledon. This is the first time Djokovic has reached the title match in the ATP Finals without dropping a set. Djokovic beat Zverev 6-4, 6-1 on Wednesday in the round-robin phase of the ATP Finals to improve to 2-1 (2-0 on hardcourts) in the head-to-head series. In Sunday's doubles final at 7:30 a.m. (Tennis Channel), fifth-seeded Mike Bryan (Stanford, 2017-18) and Jack Sock will meet eighth-seeded Pierre-Hugues Herbert and Nicolas Mahut of France. Bryan and Sock, this year's Wimbledon and U.S. Open champions, topped fourth-seeded Jamie Murray and Bruno Soares 6-3, 4-6 [10-4]. Herbert and Mahut, who won the French Open in June, edged second-seeded Juan Sebastian Cabal and Robert Farah of Colombia 6-3, 5-7 [10-5]. Herbert and Mahut routed Bryan and Sock 6-2, 6-2 in 53 minutes on Friday in round-robin play. 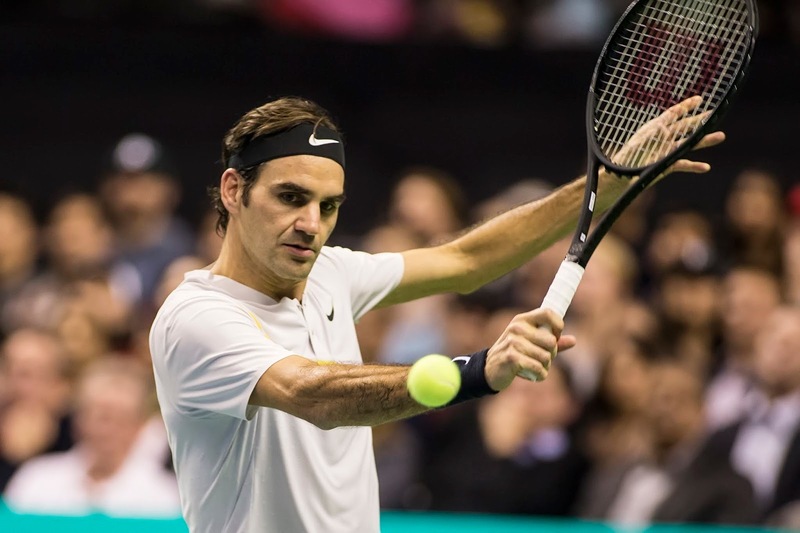 Bryan, 40, hopes to become the oldest doubles champion in ATP Finals history. He is 4-2 in finals in the tournament, all with twin Bob. WTA Tour -- Unseeded Maegan Manasse (Cal, 2014-17) and Jessica Pegula of the United States nipped third-seeded Desirae Krawczyk of the U.S. and Giuliana Olmos, a product of Fremont in the San Francisco Bay Area who plays for Mexico, 1-6, 6-4 [10-8] to win the $150,000 Oracle Challenger Series -- Houston. It's by far the biggest title of the 23-year-old Manasse's career and her first with Pegula, the daughter of Buffalo Bills and Sabres owners Terrence and Kim Pegula. Fifth-seeded Mike Bryan (Stanford, 1997-98) and Jack Sock of the United States beat third seeds and 2017 runners-up Lukasz Kubot of Poland and Marcelo Melo of Brazil 6-3, 7-6 (5) today in a round-robin opener at the Nitto ATP Finals in London. Bryan and Sock, this year's Wimbledon and U.S. Open champions, saved a set point with Sock serving at 4-5 in the second set. Kubot double-faulted on match point. 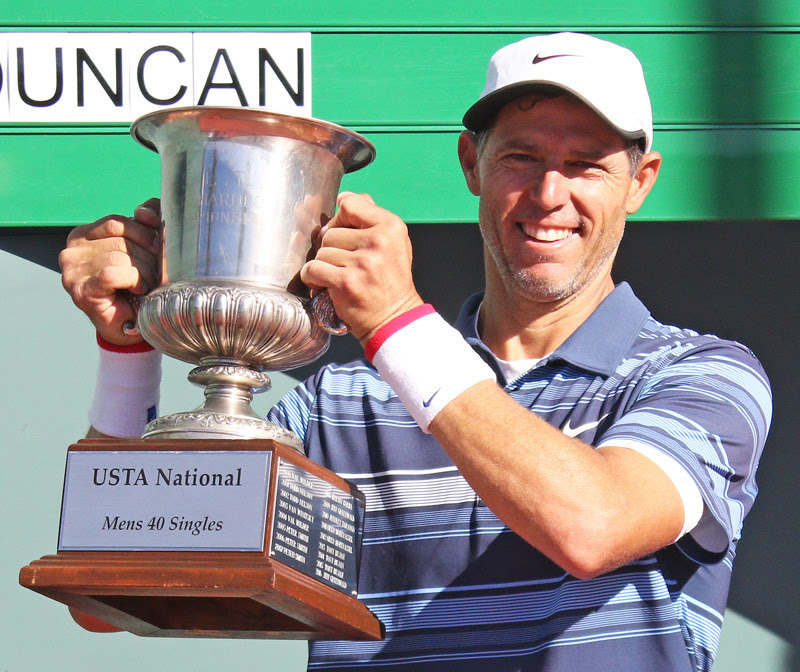 Mike Bryan's 40-year-old twin, Bob, is recovering from hip surgery in August. They have won a record 16 Grand Slam men's doubles championships and captured four ATP Finals titles (2003, 2004, 2009 and 2014). The ATP Finals consists of the top eight singles players and best eight doubles teams of 2018. The four singles players and four doubles teams with the best records after three round-robin matches each advance to Saturday's semifinals. Also in Group Knowles/Nestor, top-seeded Oliver Marach of Austria and Mate Pavic of Croatia downed eighth-seeded Pierre-Hugues Herbert and Nicolas Mahut of France 6-4, 7-6 (3). Bryan and Sock are scheduled to play Marach and Pavic on Wednesday at 4 a.m. PST (Tennis Channel). In Group Llodra/Santoro, second-seeded Juan Sebastian Cabal and Robert Farah of Colombia are 1-0 with fourth-seeded Jamie Murray of Great Britain and Bruno Soares of Brazil. Sixth-seeded Raven Klaasen of South Africa and Michael Venus of New Zealand are 0-1 with seventh-seeded Nikola Mektic of Croatia and Alexander Peya of Austria. USTA Pro Circuit -- Keenan Mayo, a 6-foot-6 (1.98-meter) Illinois freshman who grew up in the Sacramento suburb of Roseville, is scheduled to make his Challenger main-draw debut on his home courts in Champaign, Ill., on Tuesday. Mayo, 18, will play fellow qualifier Ryan Shane, the 2015 NCAA singles champion from Virginia, in the first round of the $75,000 JSM Challenger of Champaign-Urbana. Mayo defeated Sem Verbeek, a 24-year-old Dutch left-hander who starred at the University of the Pacific in Stockton, Calif., 7-6 (5), 7-6 (6) on Sunday in the final round of qualifying.